This week I will be launching my “In-Season” Rookie Impact Power Rankings. This list will help you track which rookies are AND will have an impact during the 2016 season. Now that we are nearly two weeks in, we can start to evaluate Rookie debuts and subsequent appearances. I will consider these early season production (or lack thereof) as well as their tool profile to project sustained and/or future impact this season. In this particular piece, I will be using daily stats to see the progress (or regression) over the first week or so. I will break down in more detail the top guys on the list but the rest will get just a sentence or two. I will update this list as the season progresses and comment on the those that rise and fall at the bottom of my weekly articles go forward. He obviously is going to give up runs along the way but his impeccable control and ability to force ground balls will keep him in most games.He never had less than 26 starts in a season in Japan so he is very durable. He likely won’t strike out the 7 ½ men per game in the MLB, but his control numbers will make him valuable in any fantasy scoring format. Run him out there every five days with confidence. He may be listed as the #3 starter, but he will likely end up the 2nd best starter on this team behind Kershaw. I would argue that this was by far his best night at the plate so far. He did not have a home run, but it was the approach that impressed me. Coors Field had its fence raised nearly nine feet this off-season. His triple in the 4th would have cleared the fence last year. Instead of trying to “compensate” his swing to get more lift (not that he needed to with a 66.7% Fly Ball rate and 20.8 Line Drive rate) to clear the fence, he came back in the 6th and triples off the wall again. Despite an extremely high K rate (32.4%), he showed some plate discipline with his approach the rest of the game. The most impressive plate appearance was in the 8th with the game on the line. Down 7-6, I thought he would try and muscle one out of the yard to tie it up. Instead he took a fastball to right field for a rare single. This allowed Nolan Arenado to do his thing and hit a go-ahead 3-run Home Run in the going into the 9th inning. It wouldn’t be fair to neglect mentioned he had an RBI Sac Fly in the 1st inning to start it off. I still stick by my prediction that he levels off on the power and doesn’t exceed 25 HRs on the year. However, this type of growth can ensure he won’t lose any playing time to the embattled, Jose Reyes, if and when he returns. Astros’ Brass made the right decision as he has been an impact bat from Opening Day and will save them a year of arbitration on A.J. Reed. In Real Deal Moneyball Dynasty League, White was won in free agent auction on April 6th for $15M. Heavy price tag ($189M cap for 40 Man roster) to pay but there is no reason to believe he can’t hit near .300 with 20+ HRs in a full season. If the Astros want to bring Reed up later this summer they can still keep White’s bat in the lineup at 3B and/or DH. It sounds like they want to let Gattis catch a little this year which will open up the DH spot more. When the 2016 season has come to a close, I expect Seager to be at the top of this list and NL Rookie of the Year. If you can find an owner that is impatient, go get him. If you have him, play him everyday as he’s still a Top 10 SS in nearly every scoring format. Mazara might be higher on this list with but he’s about a week behind the others. I’m not sure Texas wanted to call him up this early and would have preferred that he got more reps in at AAA. It does speak volumes of the Joey Gallo standing within the the organization. It appears he’s done in the outfield, which is why Nomar got the call. Gallo is back to being groomed as a 3B despite the Rangers negotiating to extend Betre another two years (maybe a vesting 3rd). Mazara on the other hand might not have the prolific power of Gallo, but he’s projected to have plus power as well as above average hit tool. He has improved his plate discipline and contact rate since beginning in pro ball four years ago. He started off with a bang with a 3 for 4 debut featuring a home run. He has looked like he belongs and is a nice catalyst at the top of the Rangers order. With Hamilton and Choo out another 4-6 weeks, he should get every opportunity to show that he should stay. I don’t think Texas is worrying about protecting his service time since they called him up so early, but unless he’s still crushing it when the veterans get healthy, they may send him back AAA so he can play every day rather than rotating with a potential crowded outfield. Dynasty owners should be clamoring for this guy, but the price is probably a bit too high right now. Wait until mid-year and see if the price has come down. Regardless, he will be a tremendous long-term asset but his impact in 2016 might not be sustainable. Jeremy Hazelbaker (STL) CF – Although a Rookie, he’s not really a prospect of a dynasty asset. 28-year-old could produce on a short-term basis but as soon as the Cardinals get healthy, he will be a bench player. Ross Stripling (LAD) SP – 7.1 innings of NO-HIT baseball to debut in the Majors gets him on this list. He was scheduled to pitch 4/14 at 10pm EST which is after this article was submitted so by the time you read this he may have shot up OR off this list. Joey Rickard (BAL) LF – Hit safely in his first five career games. He’s not flashy, but he’s parlaying and excellent 2015 campaign and Spring Training into a regular gig in Baltimore. He’s worth a plug and play, but he may not be as effective later in the season when other teams have seen him. Aledmys Diaz (STL) SS – Extremely productive filling in for Peralta. Has 3 months to prove he belongs and give STL some tough decisions to make. Socrates Brio (ARI) CF – Coolest name in the Majors has some value in deeper leagues with Pollock down for most if not all of the season. Miguel Castro (COL) RP – Apart from one bad pitch, he has been lights out out of the pen for Colorado. Seung-hwan Oh (STL) RP – Yet to give up earned run and 9:4 K/BB ratio in first five MLB appearances. …says every Buxton owner everywhere! INN), but there is no reason to panic. Byron Buxton (MIN) CF – Former #1 Prospect slashing .167/.167/.250 with 54.2% K rate. Tony Zych (SEA) RP – Tagged with a few runs but will be Closer in Seattle by season’s end. Mychal Givens (BAL) RP – Nasty stuff keeps in him high-leverage situations despite giving up a few runs early. Mallex Smith (ATL) CF – Two week fill in will provide some speed stats in category/roto leagues. Will be make down to AAA when Inciarte is healthy. Scott Schebler (CIN) OF – Getting playing time and can be productive if he sustains that. Nothing flashy but can contribute as an injury replacement. Hector Olivera (ATL) LF – Not living up to hype and now is in off-the-field trouble. Byung-ho Park (MIN) DH – Hitters from the Korean league just don’t seem to translate to MLB. 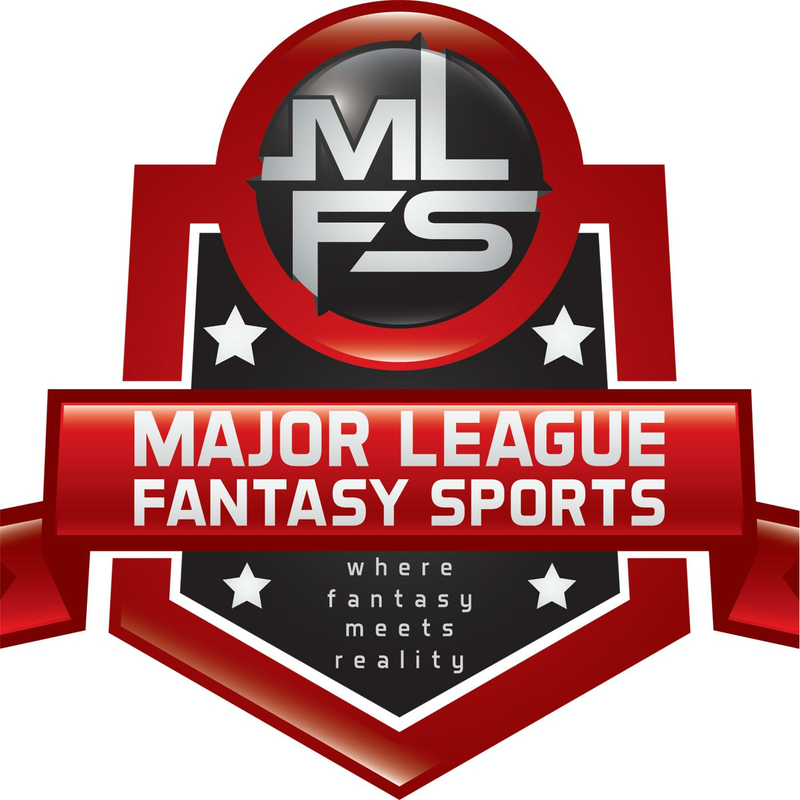 Major League Fantasy Baseball Weekly: Join Lou Landers and Kyle Amore live on Thursday April 14th, 2016 from 8-10pm EST for episode #9 of Major League Fantasy Baseball Weekly. We will discuss player positions and help prepare you for the coming draft season. This will run every Thursday as a live broadcast that will take live callers at 323-870-4395. Press 1 to speak with the host. Our Thursday night show will do some weekly recaps, player updates, and preview the coming week end games. Our guests this week is Bryan Luhrs, and Calvin Martin, Jr. Bryan is a writer with majorleaguefantasysports.com and the owner of Real Deal Dynasty Sports. Calvin is a veteran owner in MLFB leagues, and the commish of MLFB3. Major League Fantasy Baseball Show: Join Corey D Roberts on Sunday April 17th, 2016 from 7-9pm EST for this week’s episode of the Major League Fantasy Baseball Radio Show. We are a live call in radio show so we encourage callers at 323-870-4395. Press 1 to speak with the host. Every week we will do a quick recap of Fr-Sat games, and a forecast of Monday through Thursday’s games. Our guests this week are Marc Foster and Zak Sauer. Marc has been an owner in MLFS leagues 8+ years, a 3-time champion, and former writer with MLFS. He will be a frequent guest this year on our baseball shows. Zak is a writer with majorleaguefantasysports.com, the co-host of Major League Fantasy Football weekly, and the co-host of “Sports Talk” with Lou Landers every Monday. I don’t care what the girls on Reddit say. This is exactly the type of info that we need in fantasy. The temptation to overspend on a rookie (or failure to sell high when you can) can do some real damage.